How do you make Omu Rice in a cup? Fill a cup or ramekin 3/4 of the way with cooked rice. Break an egg (I prefer mine eggy soo 2 for me) over the rice. 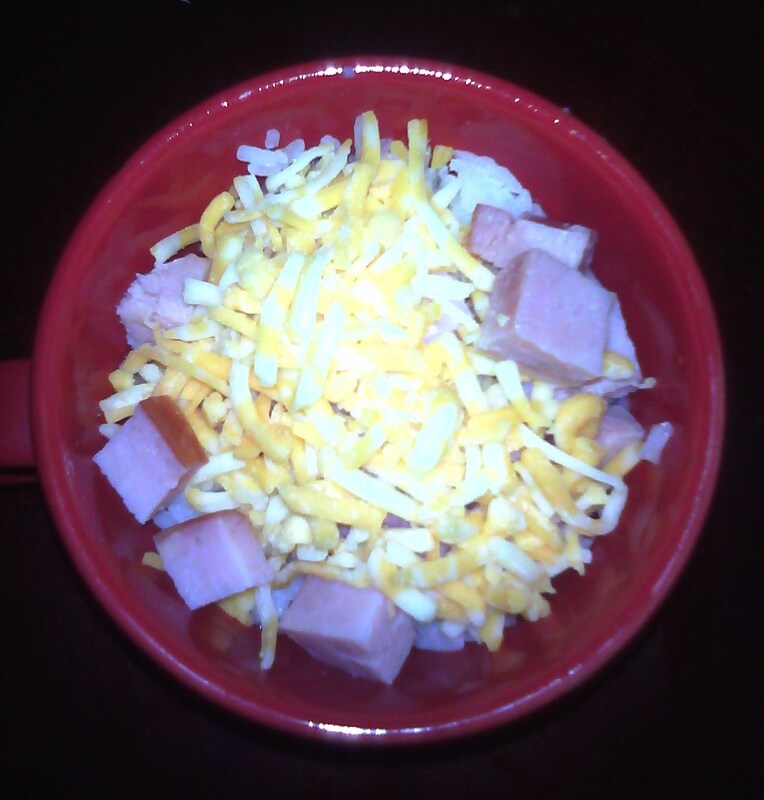 Top with chopped Ham & Sprinkle the Cheese. 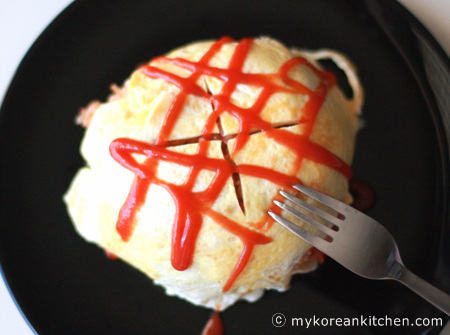 Traditional Omu Rice is a Korean type of Omelet served over rice. As is the case with any Omelet, the ingredients can vary. How do you like your Omelet? hmm sounds good but I have trouble eating eggs. My body just doesn't like them most of the time! So you know Korean cuisine? My husband loves Kimchee,(sp?) I have never had any Korean food but I would love to surprise him with homemade Kimchee sometime, do you know how to make it? Yes I do… but it is time consuming… here is a recipe that is very similar to what I do that has step by step instructions for you… Hope this helps! http://pinterest.com/pin/240379698830607612/ If you are thinking of a different type of Kimchi (depends on the season), let me know! I recently saw this tip: If you are out of eggs, or can't eat them, a good substitute in baked goods is 1 TBL ground flax seeds, mixed with 3 TBL water. Combine in saucepan and simmer for 5 min. until it makes a thick, egg-like mixture. Let cool before using in a recipe. Hope this helps!